I stayed in last night after my run, and got a phone call to switch to channel four, now if you missed this programme then register on channel four on demand and see if you can get hold of it. 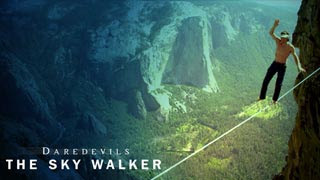 The gripping documentary captures a snapshot of climbing and slacklining legend Dean Potter, as he tries to break the barriers of mental and physical exertion of highline walking, with a twist. No safety rope, no pole, no second chances and seemingly no limits. Having slacklined a fair amount at low level I was intrigued by this documentary, having met the legend a few years ago in Yosemite when hanging out with Leo, I knew that this charismatic man had a determination and focus that was unbelievable. When I was going out for a days cragging, maybe climbing a 8 pitch route, and return satisfied, Dean was climbing the Nose of El Cap in a fraction of the time. However the documentary focused on Dean turbulent personal life, and the slacklining. For me it was great to see a few familiar face like Chongo and Dean, whilst at the same time giving a brief history of slackline walking and the sub art of the highline. 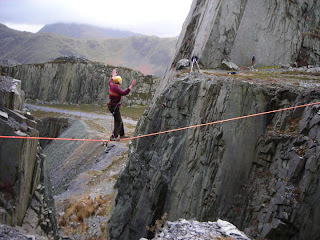 Now many people will have dabbled in slacklining, however having once tried a line set 40ft above a quarry pool, with a safety leash, I can say that putting the line at height makes it a totally different proposition. I can walk a low line back and fourth fairly easily, however my best effort was 7 steps on the highline before I took the tumble. In this documentary we see Dean walking a 22oft line 3000ft up, failure is certain death. I was expecting a flawless walk of a master, but even Dean succumbs to the anxiety of the situation. ‘Fighting thousands of year of Evolution’, Dean seems at first to sketch his way along the high line. Each twitch could be his last. I was speechless, as were the two friends watching it with me. He is of course successful, however the journey and the depth of which Dean allowed the film crew to enter his personal life, make this a truly masterful piece of film-making. Between the lines I saw some of the true reason of why he did it from a psychological perspective of risk taking. My palm are sweating as I write this. A must see for any extreme sports participator. To me it made Man on Wire which is an equally incredible documentary look like something we did back in the past before the boundaries where pushed to where we are today. Well I spent the day setting more problems at the Beacon Climbing Centre, the problems will all be a part of their new aggregate. Hopefully they will be enjoyed why they last as unlike first ascents they don’t stand the test of time. I can’t remember how many problems I set but I did manage to get quite a few done, hopefully some quality as well as quantity. I think I manage to set a complete grade range, I only manage to about 3.30 as I was expecting to head back up to the wall with llion this evening, however I managed to persuade him that I might have had enough of the wall today. I managed to climb most of the problem I set, I failed to link the orange, mainly due to powering out at the end of the day. 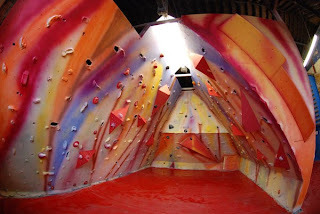 I can’t wait to get in there and boulder again, I might even get an aggregate form to help the North Wales Bolt Fund. As well as provide motivation to keep climbing. Although last year I got too competitive, and injured myself! Instead of the wall I went out for a run, was only a short one. I was quite disappointed with my knee, it still hurts a little from my long run so I did a very steady lap of the toxic lake. I decided to walk the downhill section to protect it, but it was really nice to just run for about an hour rather than head out for seems like half a day! 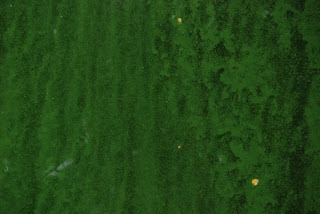 I found the great pamphlet on the current situation on the Blue Green Algae. There is a link to the Environment Agency campaign which is reasonably interesting. Again as i mentioned before they blame detergent use for the outbreak rather than questioning what has changed from the previous years where there hasn’t been any incidents. They did blame a particularly still summer, and did mention the cause of the problem can be a combination of fertilizer leeching from soil, but as most of the land is upland grazing it doesn’t seem likely. Also they mention run off from the land, which to me seems like the most likely suspect. As over the last few years we have seen a dramatic increase in the more intense rain events, and being out on the hills, the sheer amount of soil being eroded by these events is apparent when you use the mountains in the immediate area all the time. So whilst we might not be the cause, the weather seems to be blamed for that, it is interesting that the Environment Agency see’s the locals as being part of the cure. We have to look for low or no phosphate washing powder, only use a full washing machine and only use an appropriate amount of detergent! Personally, I think they should also look at the treatment works, as I doubt that it is anywhere near ‘state of the art’. Just how much effect will the Environment Agencies Campaign have, and when it doesn’t work will they just blame those nasty locals for being too clean? I saw this article linked from UKC to the Guardian I thought it was interesting especially the part about how they have been sending a bill to highlight how much the rescue cost despite not actually charging them. Is this a way that UK Rescue Team should go? Having been involved in some CDD case (People needing a kick up the arse rather than real rescues) recently. It would perhaps send a message to hill users to be more prepared and think about there action before heading into the hills under equipped and under skilled. Whilst I don’t agree with charging people in the UK for MR, the sheer volume of rescues, which is rising year on year seemingly across the UK. I think as a team, Llanberis is on 140 call outs so far this year, by the end of the year this will probably equate to a 50% increase. Whilst the North Wales Police and other bodies have set up Mountain Safe a organisation aimed at raising the awareness of safe use of the uplands in Wales. There effect seems to be zero on the actual number of call outs. Imagine if you were rescue and someone sent you what looked like a bill through the post, I am sure the word would get out fairly quickly that you need to be responsible when hillwalking. It is an interesting approach, we shall have to see how it goes. It has been a varied week for my toilet reading whilst I have been looking at Vincents Statistics in Kinesiology, which is helping me through my MSc thesis statisitic. It is a rather intellectual read, and not for the feint hearted, in fact even the brave often turn to jelly by the second chapter, the statisitical analysis I am using are near the last chapter, which if your interested is a 2×2 mixed model ANOVA design. 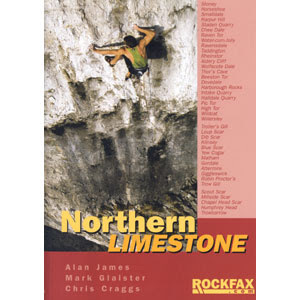 For the lighter reading there is also the Rock Fax guide to Northern Limestone, which is a mighty tome of nearly all the limestone in the north of england, both sport and trad are covered. It has made me realise that maybe I should try to climb on some of this rock at some point, although the grit always calls if I am over in Grit country. 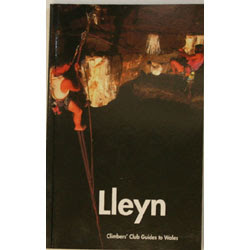 If I need a fright I have been dipping into the CC Llyn guide, a veritable collection of horror fests. Thank god I am not climbing that much at the moment otherwise I might choose to frighten myself!